Hi everyone and welcome back to episode of Weird Pick Wednesday! 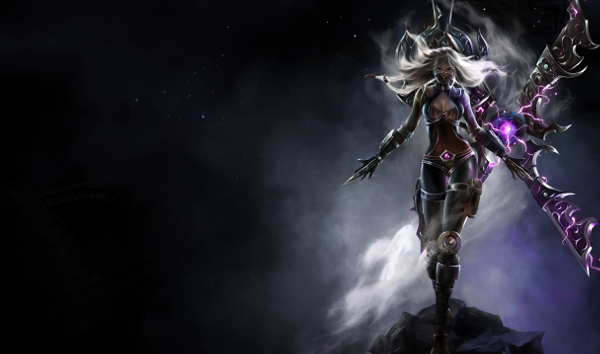 This week we're looking at an especially unorthodox Irelia build. Although Irelia mid is starting to become somewhat of a "thing", AP Irelia remains the ever elusive, strangely scaling champion clothed in black. As an AP champion, Irelia offers 50% AP scaling on both her E and her ultimate. Against a ranged champion, she'll easily be low enough to use her E as a stun and deals a surprisingly high amount of "turn-around" damage. Around the same time as when Irelia finishes her Nashor's Tooth, her W will likely also be at a decent level. As an AP champion, she can take strong advantage of the cooldown reduction and ability power that Nashor provides, and also scales up well via attack speed due to her ever popular true damage. At around 20% cooldown reduction, Irelia's max level ultimate is on a 40 second CD, meaning that she can use it for poke early on and still have it up for teamfights to give her insane sustaining power via its heal. As a standard bruiser type champion, Irelia does suffer somewhat from not building tanky. However, as an AP champion she makes up for it somewhat since her ultimate will heal more than usual if she builds pure (AP) damage. Irelia also lacks a true short cooldown poke ability that's become a staple among most mid-laners. However, with the latest nerfs to Luden's Echo, the meta may start shifting back towards assassin types mid, which Irelia performs well against. AP Irelia doesn't seem to offer quite enough that I'd consider playing her terribly fun, but the amount of damage she can output with a single E at full build is hilarious enough that it's worth trying once in a while just for the shock factor of getting one shot by a close range point and click spell. What do you think about AP Irelia? Comment below! Should be, what do you think about mid Irelia, not Rengar. 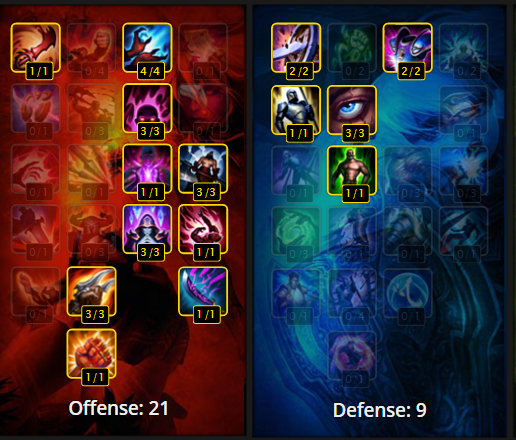 Since irelia is on-hit, via nashor's, why not grab wit's end for extra tank, on-hit magic damage, and atk speed? If you are going for more of an on-hit irelia build, wit's end + nashor's is a must. You can drop hourglass if you are facing more AP heavy teams, or keep hourglass and drop voidstaff for more AD heavy teams. Since wit's end steals MR from enemies, void staff won't really be needed. Probably would forego void staff entirely, since despite having AP scaling on her ult, the only magic damage you'll be doing is your E, lich bane proc and nashor's passive. Everything is else is physical or true damage. FOTM Irelia Mid Friday ? Sounds like a lot of fun. Her R would certainly work quite well with a ton of AP. How do you feel about some more standard and/or hybrid runes/masteries? I feel that they might help to give her a bit more lane dominance, since I imagine this build takes a few items to really get rolling. So long as you grab relevant late-game stats for her as well, I imagine a little bit of starting tankiness and/or AD might go a long way. To cite a competitive use of something similar to this, generally, when jungling with Evelynn, pro players will start with a high amount of AP for strong early-game presence and clear, then build a Warrior enchantment and/or Trinity Force for damage, oftentimes. Your runes/masteries don't necessarily have to be synergistic with your late-game, certainly. That said, AP runes/masteries probably go a long way in increasing the potency of her level 6, and she has some decent base damages as well that are probably enough for dealing with squishy mid-laners. I'd still probably consider investing in some MR, though. WHERE IS MY KARMA JUNGLE!!! Her ult deals Physical damage so penetration is kinda lack luster for her. Agreed, some AD and tankiness would go a long way. ALSO, with more AD, CS'ing is easier. That'll probably be a FOTM. The reason we go AP irelia, is because she has AP ratios on her W, E, and R.
The thought here is that you deal passive true damage, while healing (with your AP ratios) with the active of her W, needing more atk speed means healing more. Since we need more attack speed, I bring up the thought of on-hit irelia, as opposed to AP burst irelia. Since her W has AP ratios, more AP means healing more on-hit. What W ap ratios do you speak of?? Does she have an AP ratio on her true damage!?! Erm, are we talking about xinzhao or smth?